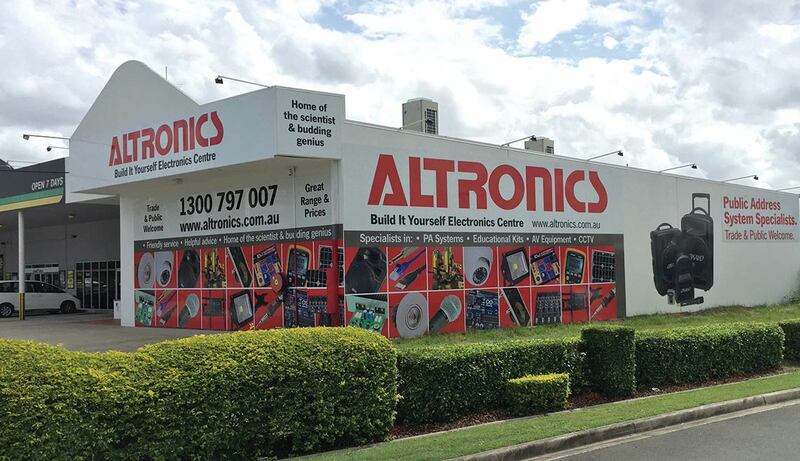 New Altronics store in Virginia, Queensland. We are delighted to announce the opening of our 6th Build It Yourself Electronics Centre on December 15th 2014! The new store will be conveniently located at 1870 Sandgate Rd, Virginia, QLD. Just 20 minutes out of central Brisbane, this new store will feature the largest floor area of any Altronics store and will stock our full range. Construction and fit out is due to begin very soon we plan to open for trade on December 15th. We have been on the lookout for suitable retail properties in Queensland for several years, and we are confident that the new store has been worth the wait and will be a valuable resource for electronics enthusiasts, trade installers, government and institutional buyers alike. To stay up to date on our opening of the new Altronics Virginia store and other news, subscribe to our enewsletter. The new store will be located between Autobarn and McDonalds near the corner of Robinson Rd East and Sandgate Rd.